LEGIC is partnering with Italy-based Comunicare Group to launch Bicincittà, a contacltess smart card-based bicycle sharing program. 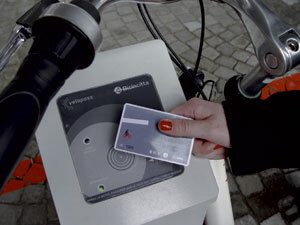 Once registered, Bicincittà users receive their own contactless LEGIC card, granting them 24/7 access to bikes stored in throughout the city at cycle-park stations. Under the system, a bicycle’s movement is tracked and transmitted to a server, allowing users to see the availability of bikes in any given area. The new service can also be loaded onto existing smart cards, including city cards, campus IDs or public transport passes.